The Exodus jacket from Rab is a mid weight softshell jacket, capable of turning its hand to all manner of outdoor activities. 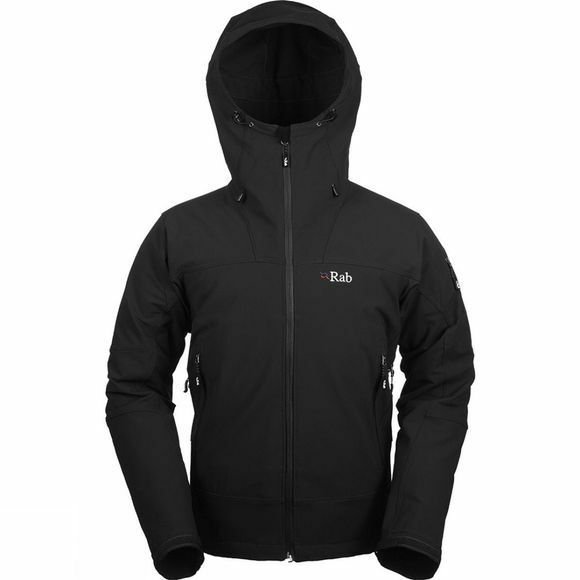 Although Rab intended the Exodus to be a ski touring jacket, it turns out this makes it a great all-rounder! The fantastic breathability and freedom of movement, coupled with weather protection and some really practical features,are not just the preserve of ski-tourers: everyone can benefit from this level of comfort and performance. The peaked hood offers effective defence against the elements and is easily adjustable to fit if you're wearing a helmet, but still fit comfortably if you're not. Pit zips allow extra ventilation to keep things as comfortable as possible, and the pockets are positioned to be easily accessible whether you're wearing a backpack, a harness or just the jacket! Protection, breathability, freedom of movement and clean, simple lines: from specialist beginnings has come a brilliantly versatile jacket.